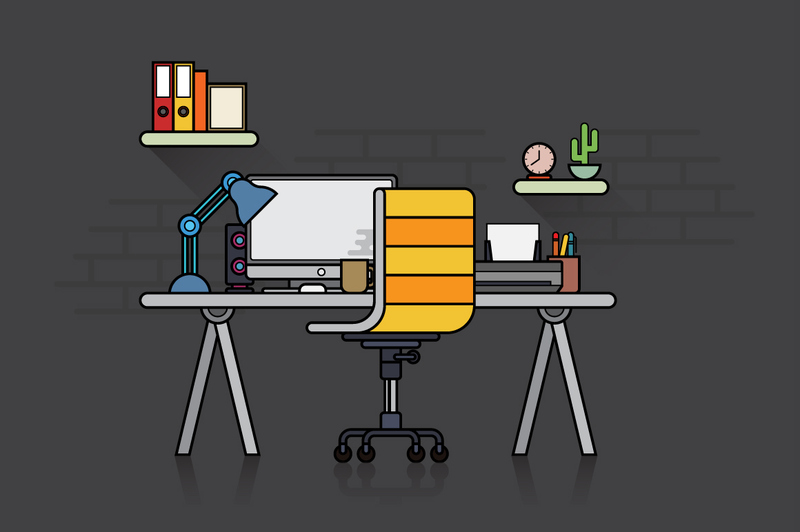 Free Flat Design Workspace Vector Illustration. Here is a set of creative workspace vector in flat design. This illustration contains a workspace set with a chair and a table complete with some workspace elements like books, folder, mug, desk lamp, printer, pencil box, and a clock. Available in AI (Adobe Illustrator) and EPS format which means that it’s fully editable both in shapes and colors.